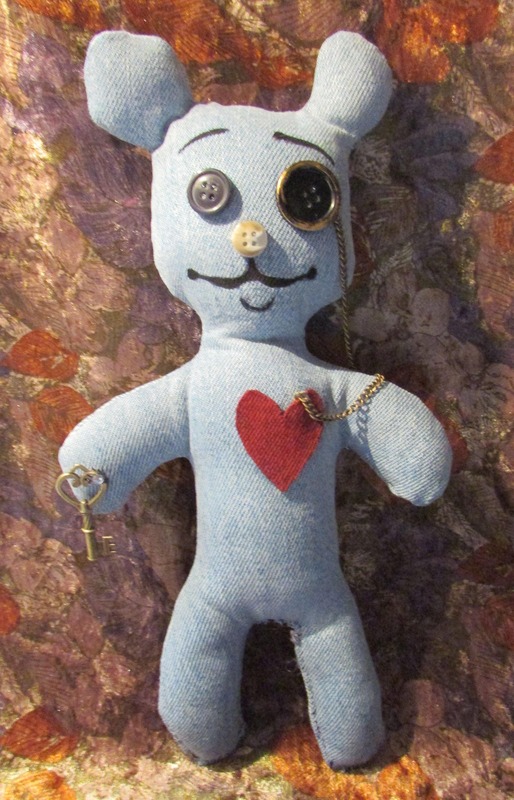 Denim Upcycled Teddy - "Theodore"
An aristocratic little bear with impeccable green credentials. 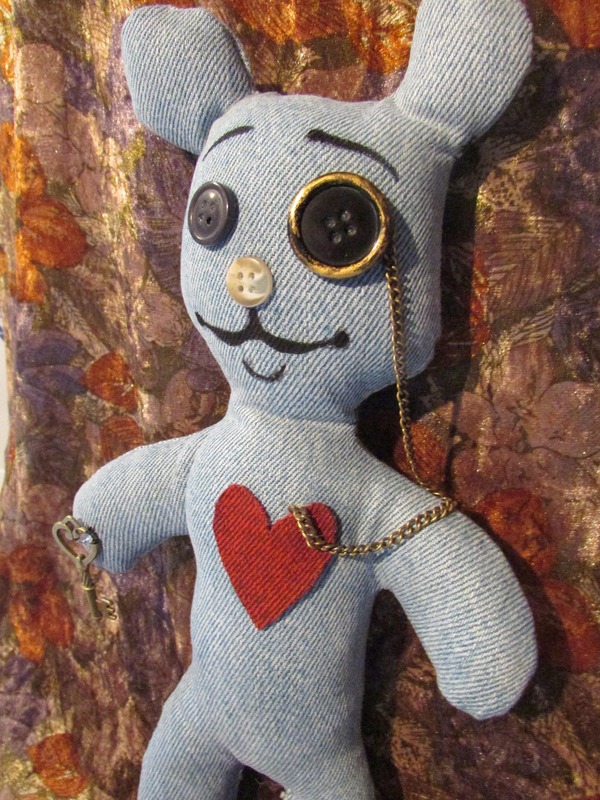 Made of denim from old jeans, and detailed with old buttons and trimmings. 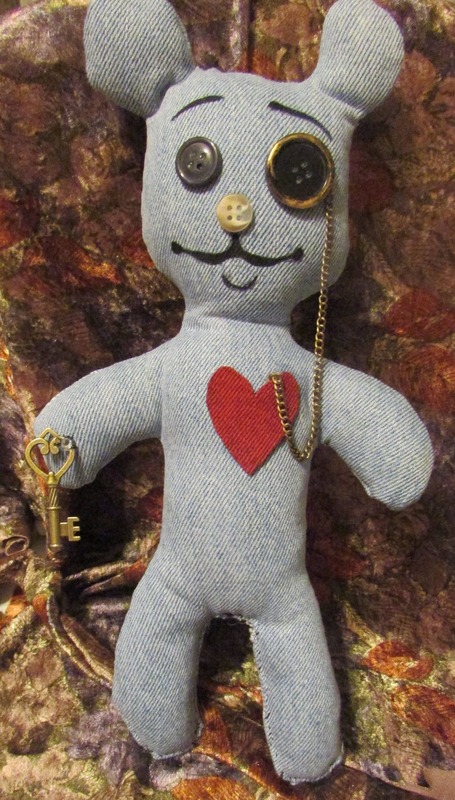 Theodore carries the key to his heart, and is just waiting to give it to you! 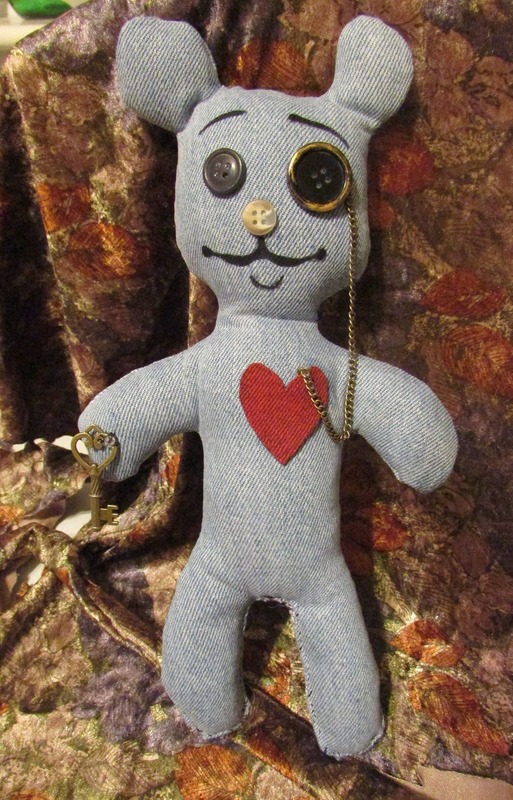 He is stuffed with 100% new polyester filling, and is not suitable for young children, due to small parts. He stands 28cm tall and is gentle surface clean only.